Blog : What can be done to make remote working more effective? What can be done to make remote working more effective? A generation ago, it never would have seemed possible, but today more and more employees are staying home and taking advantage of flexible working arrangements, working remotely rather than physically going into an office. Modern technology has made this a realistic option, now that practically all our data is stored in the cloud and we can be productive from pretty much anywhere. As a manager, the challenge is to ensure that your team is highly productive, even when they don't come into the office. For managers, the challenge is to ensure that your team is still highly productive, even when they don't come in. When companies spend good money on hiring, training and developing in-house talent, they want to know their people are achieving at a high level and their investment is paying off. 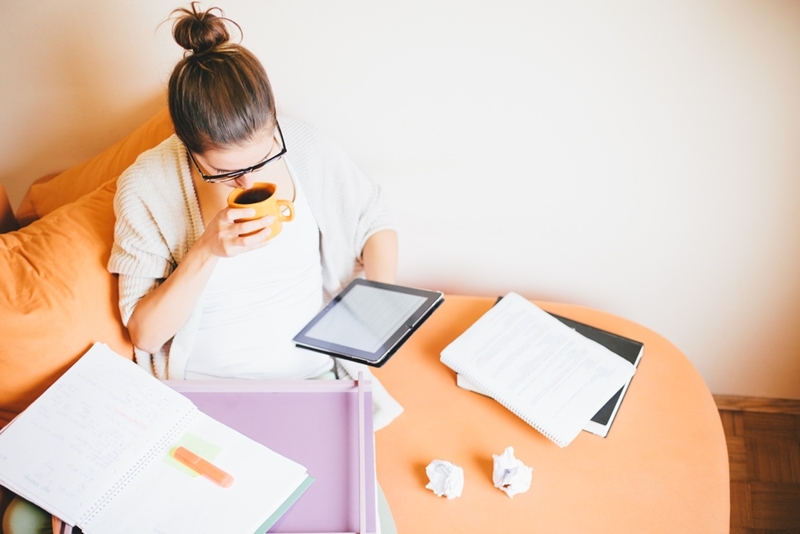 So what can be done to make remote working highly successful? As a manager the first step toward making remote work effective is not only accepting it, but learning to embrace it. In today's age your workforce is probably far for tech-savvy than you are, and probably far more trustworthy and productive managing their own time than you give them credit for. Embracing remote working is also a big draw card in attracting the right minded, like-minded individuals to your business, as it's far more about work life balance these days than it is about job titles and prestige. If you're a manager struggling to get your head around it, there are plenty of statistics to indicate remote work is effective. According to recent data from McCrindle Research, 55% of Australians say they're either "slightly" or "significantly" more productive at home than in the office. This stat could still be improved upon, but it's a good start. Furthermore, 80% say they're more likely to stay with an employer that's flexible in this way, and 52% are even likely to take a pay cut for it. In other words, remote work has real value. Just because you're remote doesn't mean you can't be as accessible. So how can you make the most of this new reality? According to Fast Company, it's best not to overthink it - the principles that make a good remote workforce are the same as with any other. You want to build a strong company culture, and this starts with strong communication. Just because people are remote doesn't mean they can't be as accessible. . If you have good systems in place, such as a fully integrated phone system, virtual meeting rooms, a chat function, a laptop and a mobile, you can talk, meet and collaborate from practically anywhere as successfully as if you were sitting next to one another. You also want to create an office environment that is great to be in. The goal is to build an environment where everyone enjoys being, so that they have the choice to work remotely when it suits, but also enjoy coming into the office to maintain that level of social integration and keep your company culture alive. One way to help make this happen is to partner with a recruitment agency in Sydney that knows the value of a good company culture and lives remote working. At The Recruitment Company, we love partnering with like-minded recruiters, clients and candidates, so click here to see what we're up to. Carly has always been extremely helpful and a great person to deal with. I am very satisfied with the service from every point of view. When I called Charlie to talk about my current position he was very patient to listen to me and for any queries is was always available. Charlie is one of the best consultant I have been with. Richard was a genuine pleasure to work with. Do whatever you need to do to retain him. Recruiter gold. Very professional and personable. Felt like I was in good hands. Couldn't have asked for more. Kimberley has been exceptional in her professional service. Of all the agencies and representatives that I’ve dealt with, Kimberley was efficient, enthusiastic and supportive. Incredible interpersonal skills together with professional ethics second to none!! John is a great asset to your organisation and he's a gem of a person to deal with. He's very professional in his work and has thorough knowldege of the industry he's recruiting in. I wish him all the best for future. Dave was probably the the best recruiter I've dealt with. Professional with a personality. I'd recommend him to others. Mark is very professional and has been very responsive to my questions and requests. His follow up calls and clarification of the roles are great. All in all, it's been a great experience working with Mark. to Charlie. Great guy. Very professional.